Expanding its presence in the lifestyle retailing sector, KOKATH recently announced the introduction of its product range at LAUGFS Super outlets commencing from the Pepiliyana Supermarket. 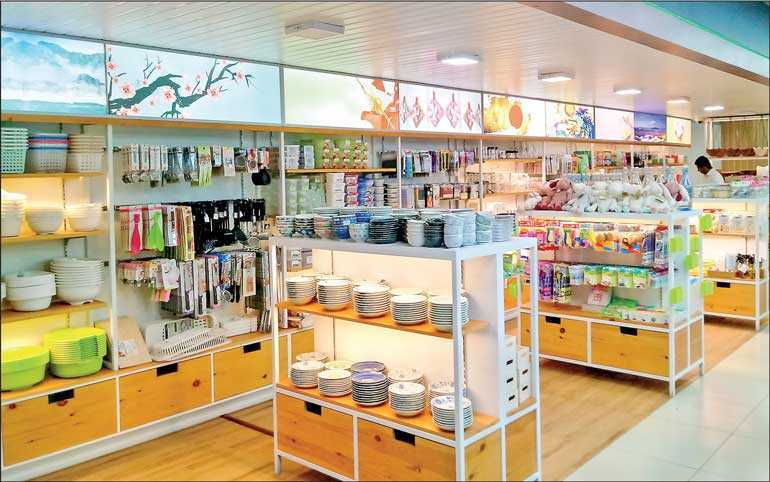 The KOKATH product line features a diverse range of high-quality items including home decor, ceramic and glassware, gardening products, toys, personal care as well as baby items, available in an exclusive and dedicated areaat the supermarket outlets. “We are excited to provide our customers in Pepiliyana with our extensive range of unique lifestyle products, from trendy lifestyle items to novel designs. In our efforts to makeour products more accessible to the urban discerning customers, we have made plans to expand our KOKATH lifestyle product range within the LAUGFS Super outlets in Kesbewa, Wellawatte, Rajagiriya, Kohuwala, Negombo, Kandana and selected LAUGFS SuperMart outlets,” commented LAUGFS Solutions Deputy General Manager Chinthana Wegapitiya. The KOKATH product range is manufactured to international quality and design standards to offer its customers modern and high quality products at affordable price points. With a product catalogue of over 800 items, the company offers an extensive range to cater to the diverse lifestyle needs of the modern-day customer. Further, export quality items sourced from the local market are also available to create opportunities to showcase the skills of local small-scale manufacturers. High quality and trendy lifestyle products ranges are also introduced on a regular basis to suit each season to continuously provide customers with a fresh shopping experience. KOKATH hasalso introduced its online shopping platform –www.kokath.lk, providing customers with greater convenience to suit their busy lifestyles. Customers can access product details of their vast and diverse product range and make their purchases through the KOKATH website, which offers convenient payment options together with island-wide delivery. The first KOKATH lifestyle outlet was unveiled at the K-Zone shopping mall in Ja-Ela and since its inception, the company has partnered with one of the largest manufacturers in lifestyle products in Japan to offer a wide variety of high-quality products to local customers. With hundreds of new arrivals in multiple categories, the company offers modern and value-for-money lifestyle products to meet the diverse needs of customers. With its expansion into LAUGFS Super outlet chain, supported by its online shopping platform, the company aims to increase the accessibility of its modern and trendy KOKATH products to the urban customer.